It will come to an end, and likely soon. After all, we’re nearly at April in southern New England, and even though early April has been wintry in the past (remember the April Fool’s Day blizzard? ), we march out of March and straight into spring. Since October, I’ve been wearing fleece. Every day. Every blasted freezing day. Better than a sweater, in my opinion, and it’s great for layering. Like when you need to wear two tee shirts and a shirt under that fleece. I’m going to have withdrawal symptoms. There will be a day, soon, when the temperature rises, to the mid-60’s, perhaps, and I’ll see folks in shorts and tees, unable to wait any longer for spring and summer. Yeah, they rush the season, but they’re young (mostly) and should be forgiven. When I was a college freshman in Providence, I made a trip home at the end of April and relinquished all my winter clothes. There were only a few weeks left to the semester and I wouldn’t need them. And then it snowed. Yep, in May. In Providence. Seven inches of snow! I had sandals, and jeans, and one cardigan sweater. Nothing more. Certainly no fleece. But the snow melted and the daffodils sprang back to life. Onto warmer weather. And fleece? Time to pack it away! I’ll leave one within reach, though. I couldn’t agree more Martha. 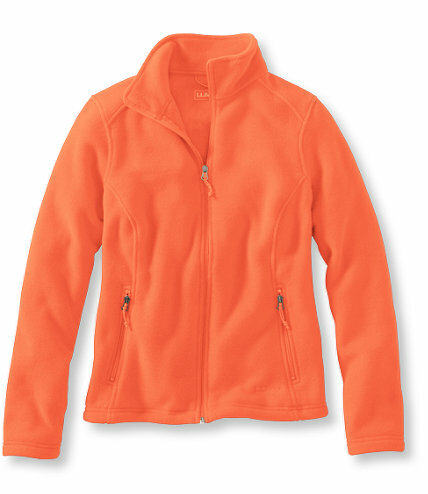 I always keep one fleece in the trunk of my car and always take one in my bag when sailing….. best to be prepared. And they feel so good. Yes! You can’t go out on open water without something, no matter how warm it is onshore. Thanks! I love all my fleece wear. While it’s not very cold here in CA, we have enough chilly evenings that totally warrant wearing fleece. Have a great spring, and hope to see you around during the A-Z Challenge. Thanks, Silvia! I’m really looking forward to reading your A to Z posts next month. Romania!! I can totally relate Martha. I love my fleece and I did the same thing Freshman year. I remember the snow and ice in May. Thanks for this blog. Spring is almost here. The daffodils are about to bloom in my garden. I’ll never forget feeling snow on my toes as I trudged to class, Michelle. Let’s hope the snow is gone now. Thank you!